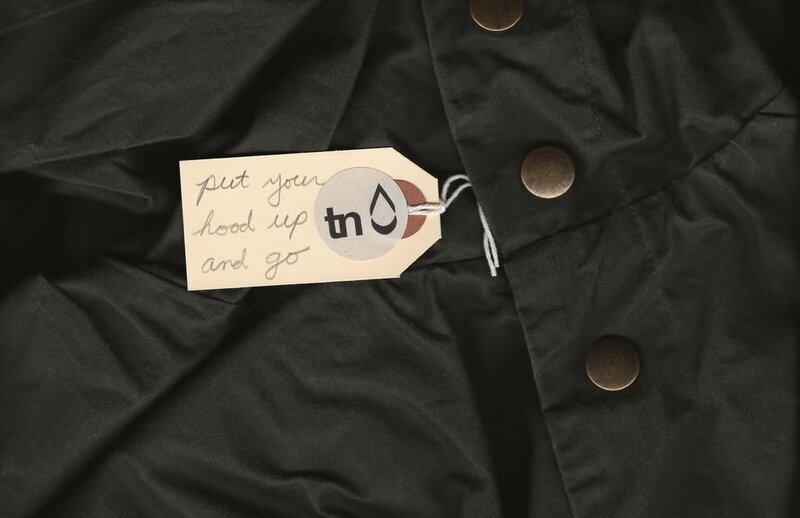 A lightweight, non-greasy waxed cotton raincoat with room to spare. Made in the historic Garment District in New York City. Too many products aren't made to last. They don't fit right, they don't work well, and they aren't made fairly. Originally an artist, I love creating. More importantly, I love the process as much as the end result. I wanted to make something better, that everyone would benefit from. And I wanted everyone to see my process. 1. Function above all else: When something works well, appreciation of the form will follow. 2. The product should work for everyone: The more versions you need, the less successful the product. 3. The materials you pick and the way you make it take priority over price: If the product is detrimental to the environment and the people who help produce it, it can't be better. Transparency is an essential piece of a healthy supply chain. Sometimes, my number one choice for a material doesn't exist yet, so I use the best one possible. When I figure out how to make it, or when it becomes available, I'll use it. In the meantime, I'll be comparing options, and writing about the decisions I made. Suggestions and questions are always good. If there is a way I can make my product better or easier to use, I want to hear about it. Me (Trevor) in my raincoat! Raincoats serve one purpose: keeping you dry. If it doesn't keep you dry, it isn't a raincoat. This raincoat is knee-length, roomy, and doesn't cling like thin, synthetic raincoats since it is made from waxed cotton. It’s cozy, and really protects you from the rain. You can feel it. These raincoats are gender-neutral, and our sizing goes by height. There is a drawstring waist to adjust to your body, and the sleeves look great rolled up when the rain slows. If it fits and does its job, wear it. There is no need to worry about anything else. The raincoats are manufactured in the Garment District in New York City. I live in Brooklyn: I'm very close to the site of production. You can see photos of the production on my Instagram account. The raincoat is made from waxed cotton, with a TENCEL® lining. Both are explained below. I wanted a raincoat that lasts a very long time. The waxed cotton I use is made in Scotland at a company that has been operating since 1864. However, this waxed cotton lasts four times longer than traditional waxed fabrics. It is lighter and more breathable than traditional waxed cotton, but just as waterproof. The wax has a much drier feel and isn't greasy, and will not transfer onto other fabrics at ambient temperature. The wax is also PFOA and formaldehyde free. It can also be reproofed when needed (see raincoat care for more details). The lining is 100% TENCEL®, a fiber that comes from beech trees grown on farms that don’t use genetic manipulation, irrigation, or pesticides. They use only rain water to grow the trees. The process is bleach-free, and 99.5%-99.8% of solvent used in the process is recycled in a closed-loop process. It’s also a very comfortable and breathable fabric. Reach out to me at info@trevornathan.com. It’ll be me responding.